New Nike in Store Saturday 10.10.09. 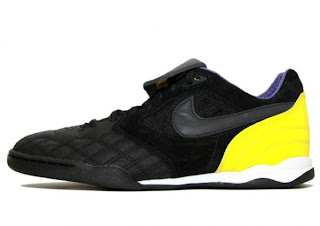 Developed specifically for the Nike Sportswear LIVESTRONG Collection, the footwear design team looked at the Nike Tiempo - first launched through the Soccer category - and enhanced the shoe with key elements to work with today’s inner city bike rider. Constructed with a board last, a process referencing ACG’s history, this provides a stiffer construction of the shoe making the pushdown of the pedal stroke easier on the rider. Throughout the construction of the shoe, the designers have increased the density of the rubber and the derometer. Inside the shoe, the sockliner has been updated to also be a bit stiffer, giving support to the foot. 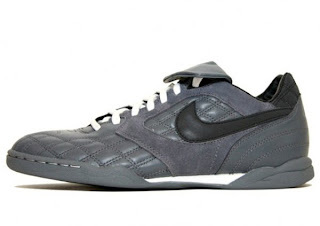 The upper of the shoe mirrors the look of the original Tiempo, however has been updated with a tougher leather to last through the wear and tear of the pedal cages may cause. The City Tiempo pack includes eight colorways inspired by the iconic yellow of LIVESTRONG and was developed in partnership with eight global bike riders dubbed The CTRS. Each color represents a different rider and their respective city. The eight riders include; Kyle Demers from New York City, Jupiter Desphy from Los Angeles, Superted from London, Takaharu “Hal” Okada from Tokyo, Yorgo Tloupas from Paris, Henrik Kuerschner from Berlin, Massan from San Francisco, and Lance Armstrong representing his hometown of Austin. Grey/Grey colorway - Kyle Demers from New York City, Dave's Quality Meat. Black/Yellow colorway - Jupiter Desphy from Los Angeles, Undefeated.